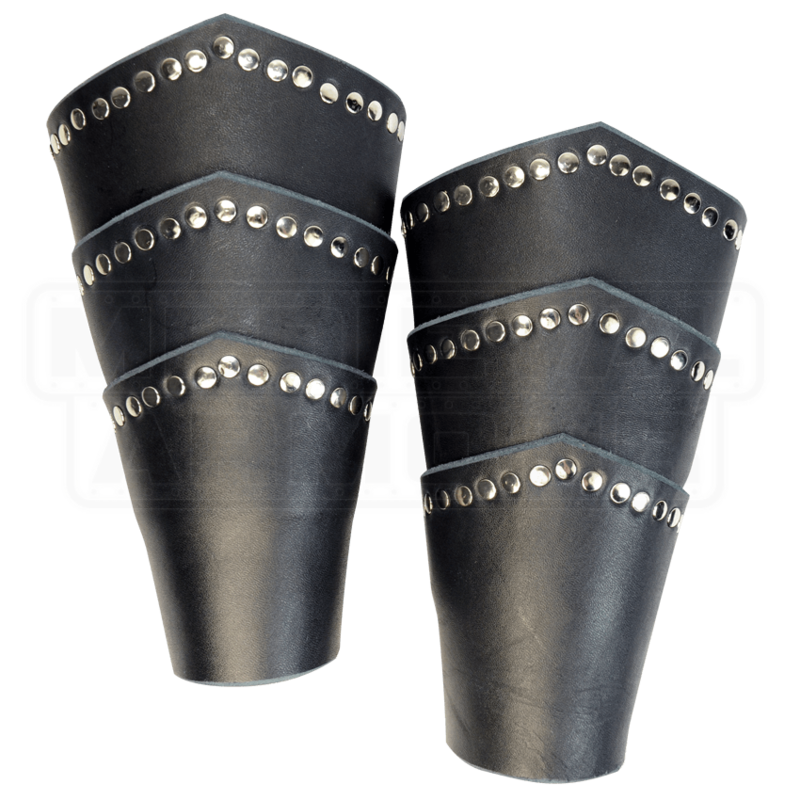 These bracers are a complement to any medieval or fantasy warriors outfit. They are made of layered 7/8 oz. 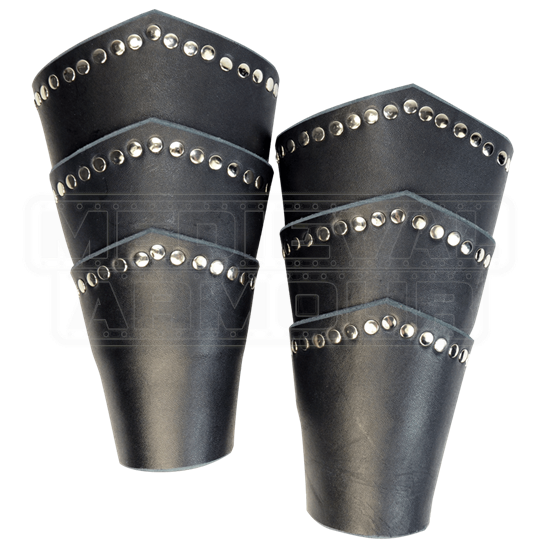 leather and are available in black, brown, dragons blood red, forest green, or midnight blue! They lace up in the back for an adjustable fit.